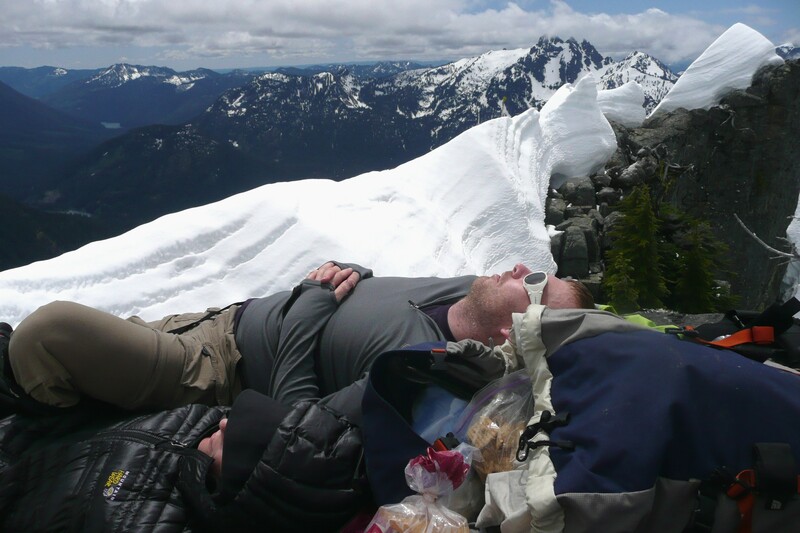 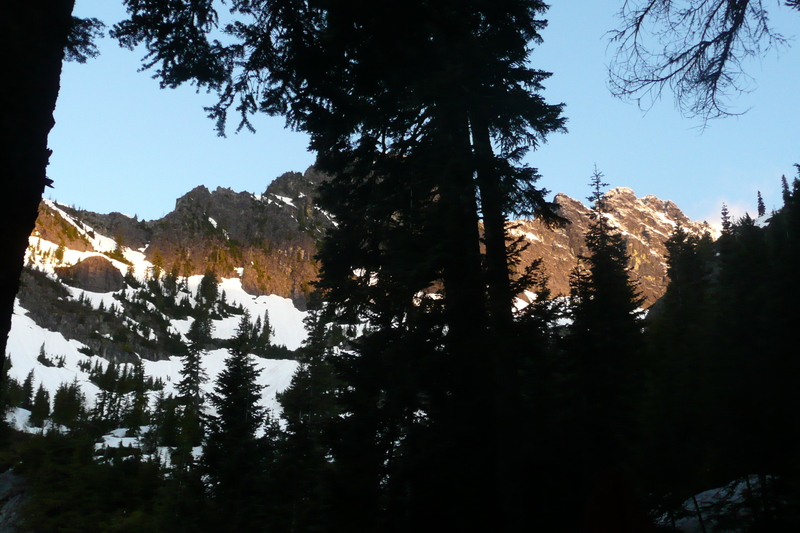 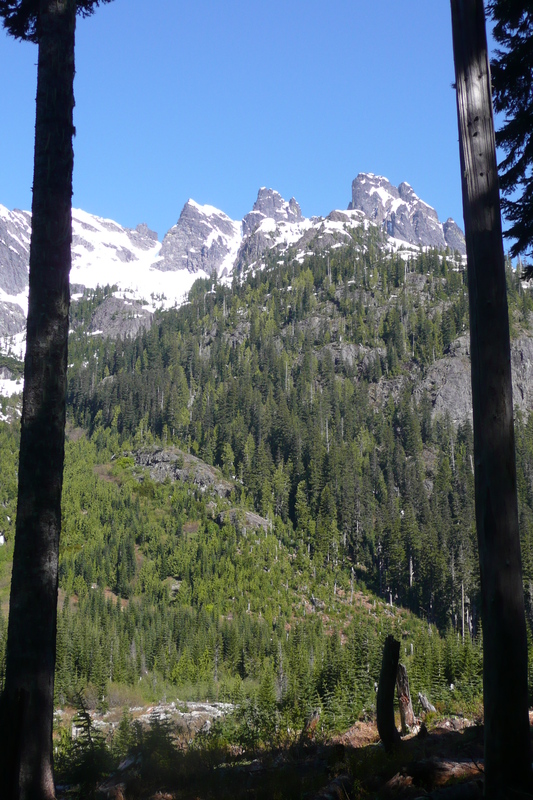 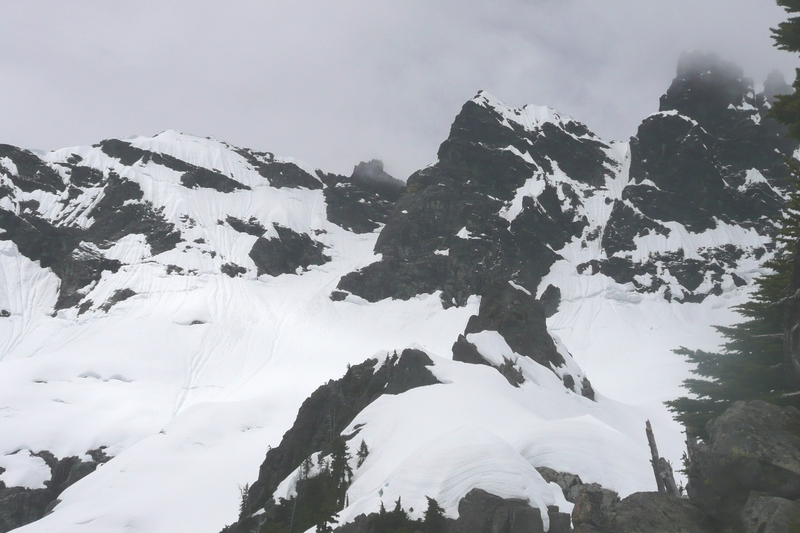 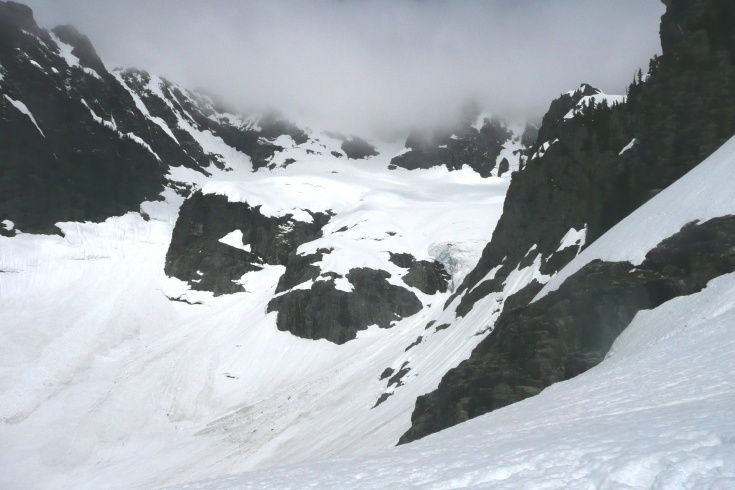 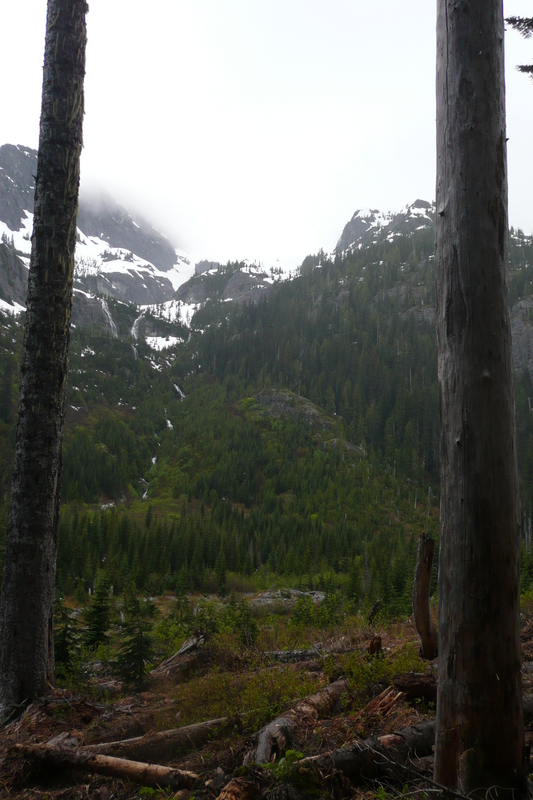 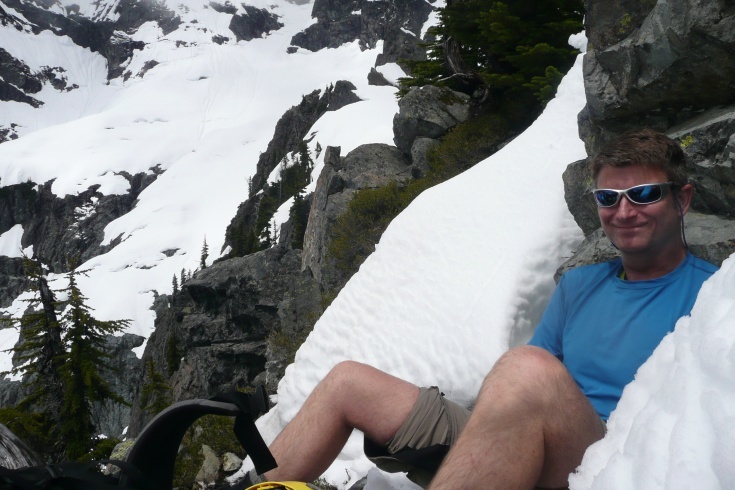 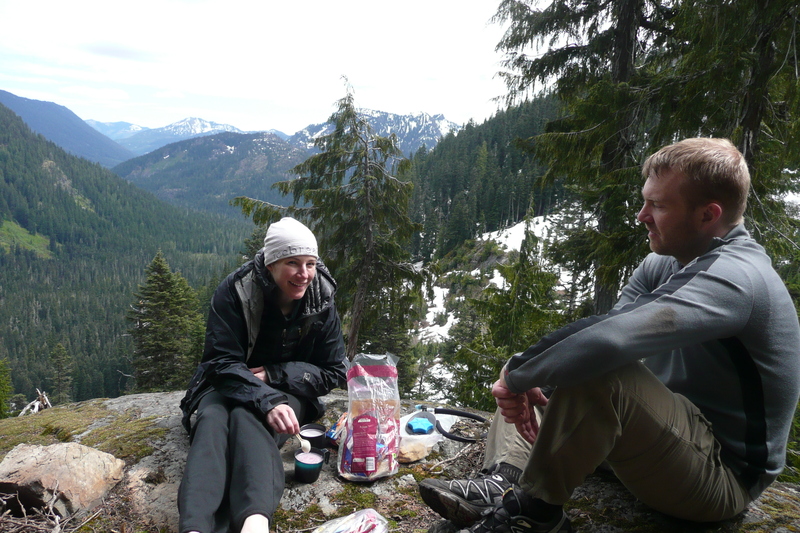 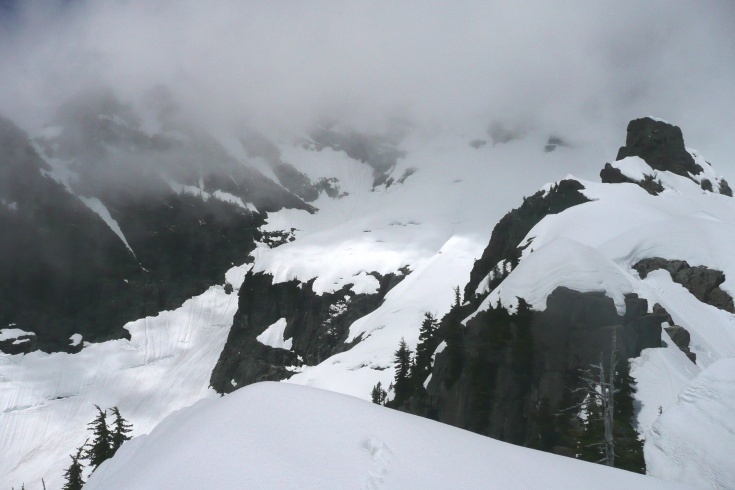 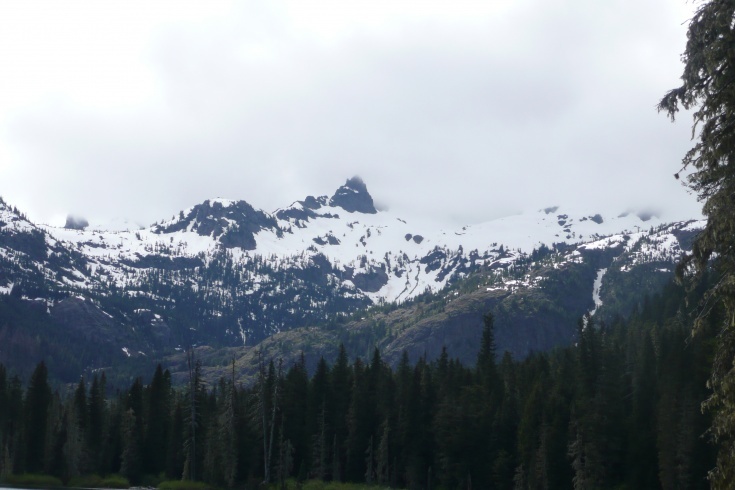 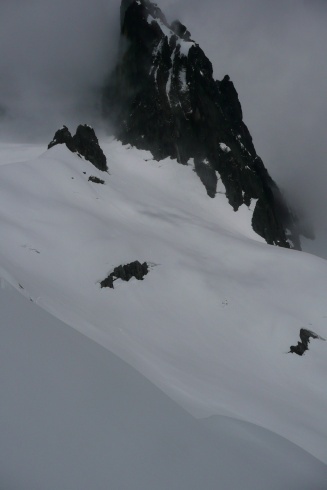 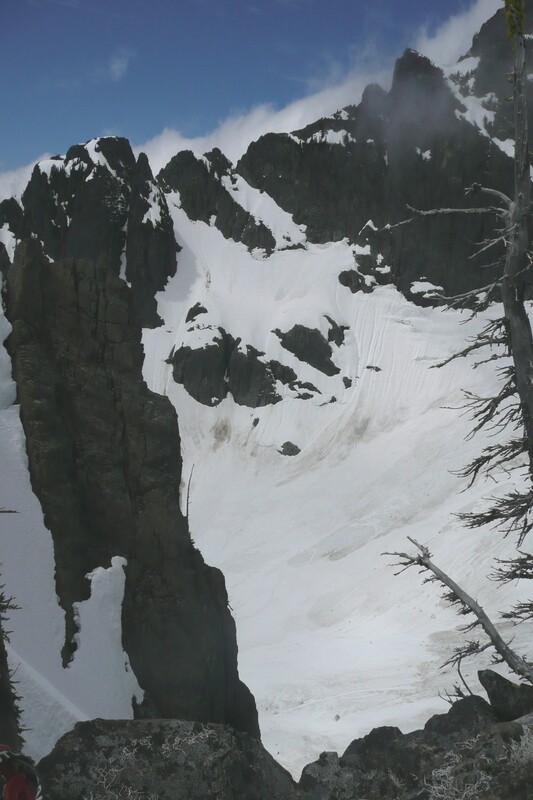 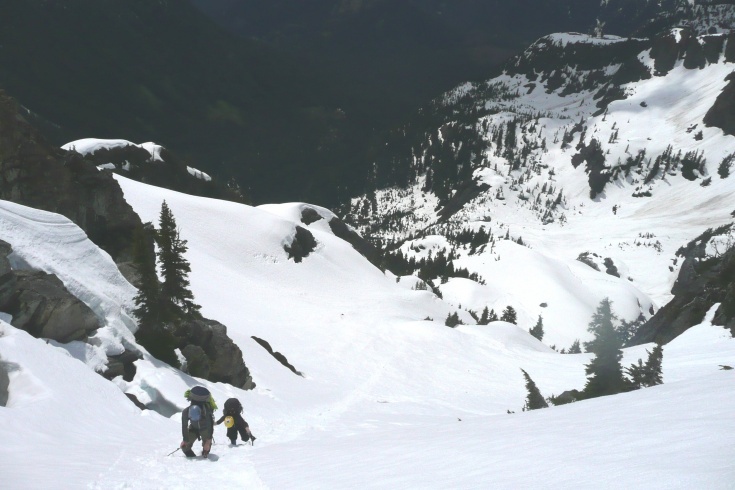 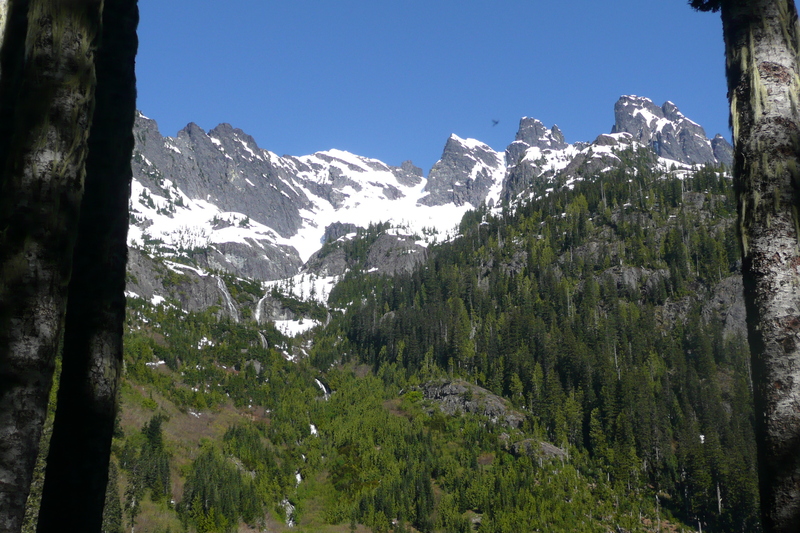 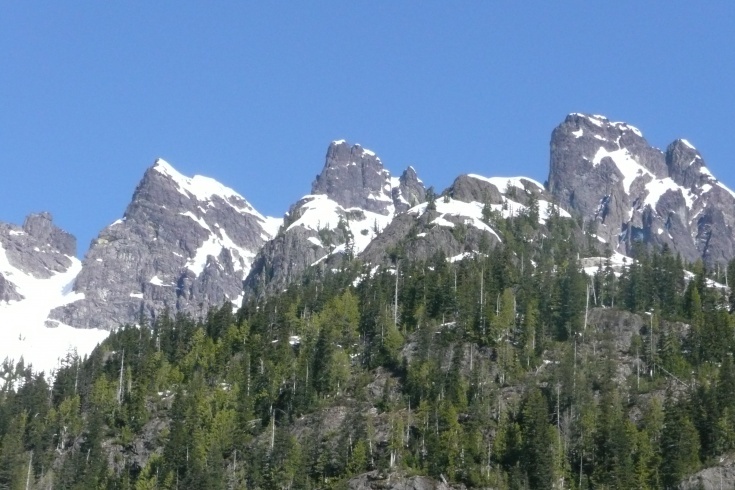 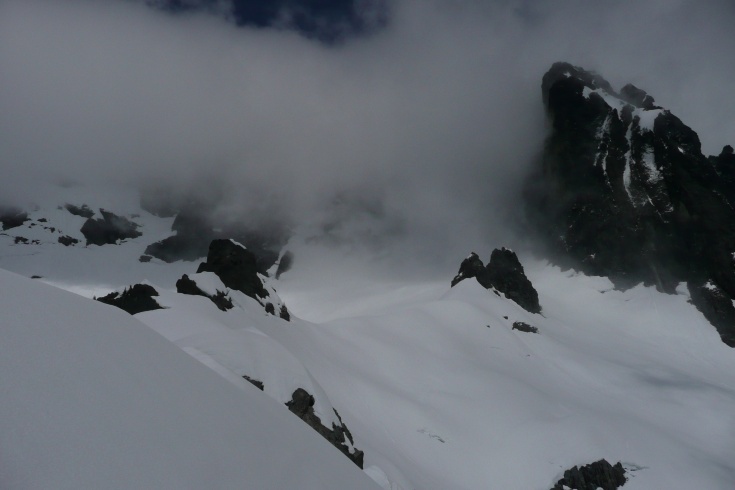 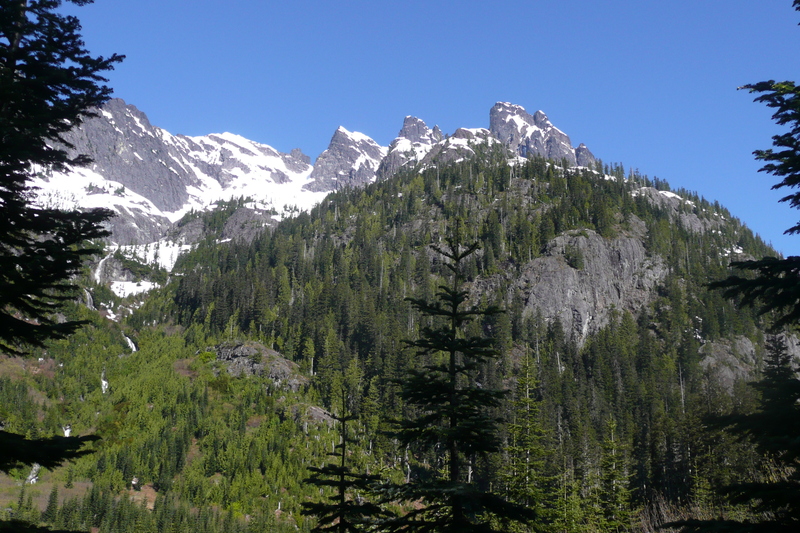 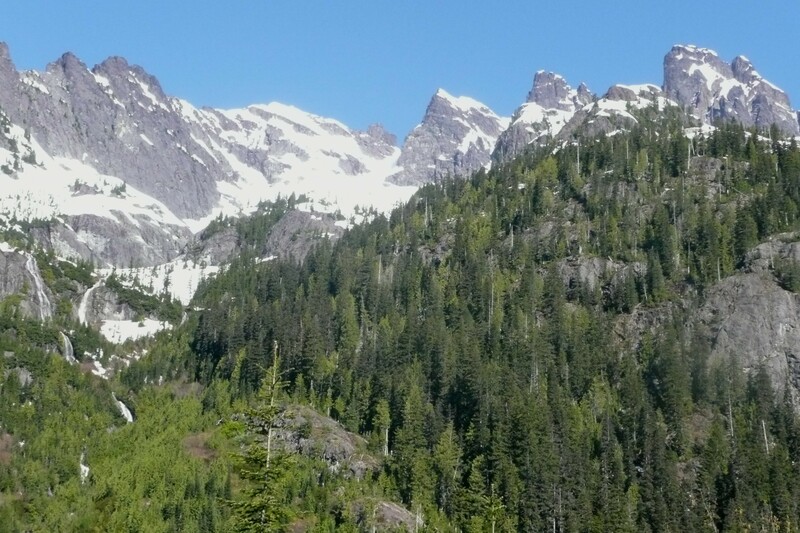 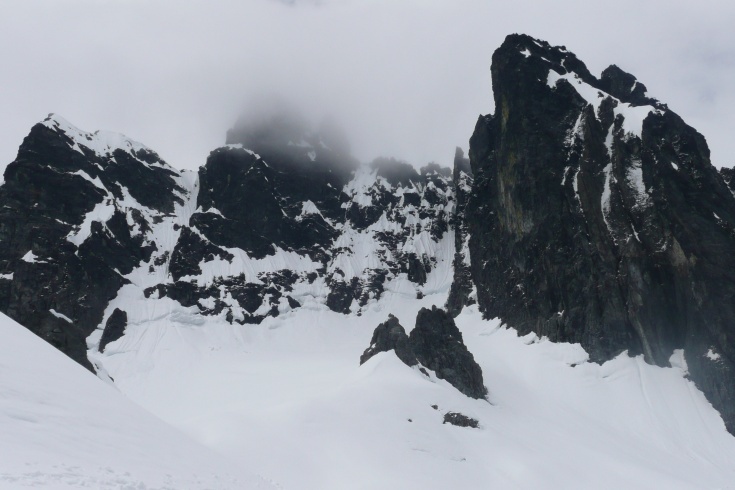 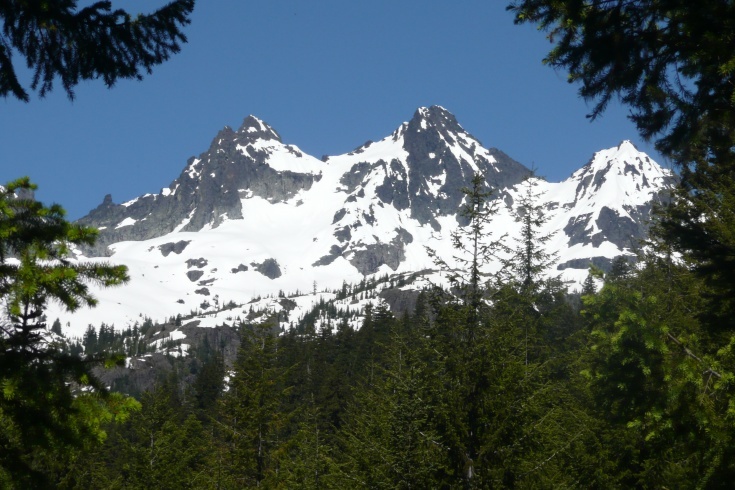 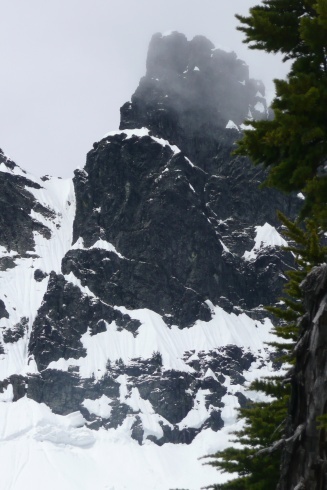 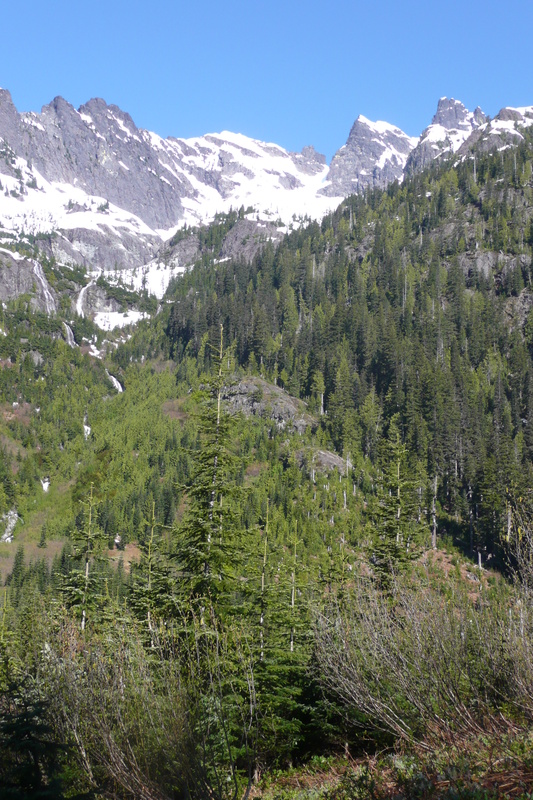 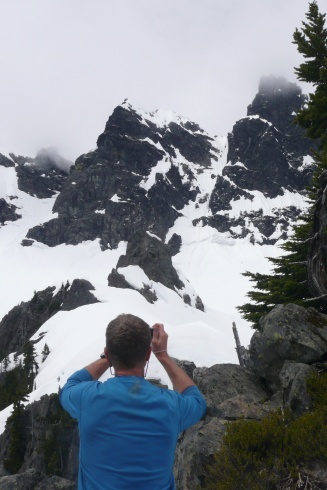 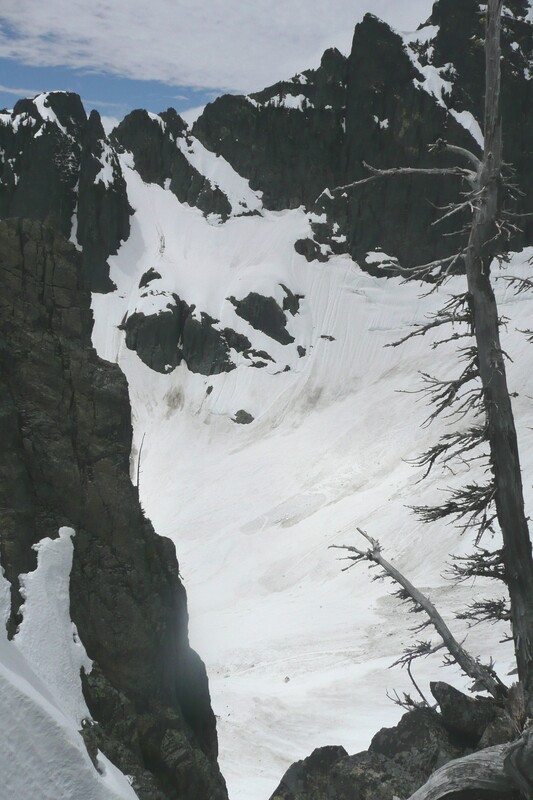 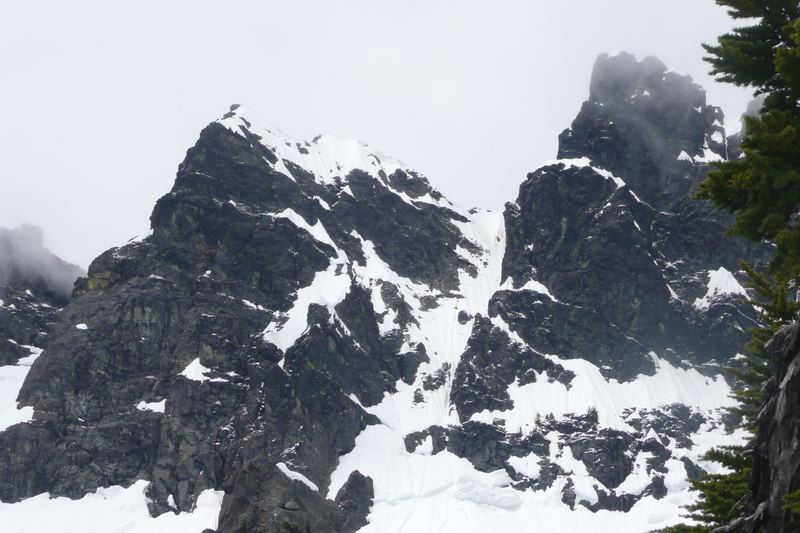 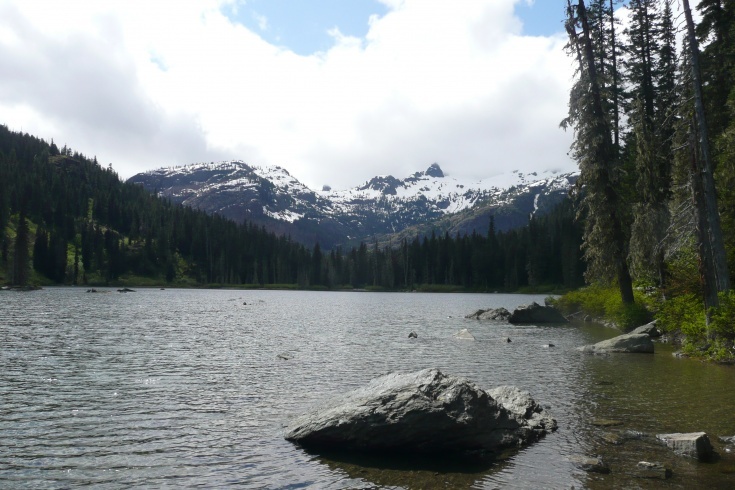 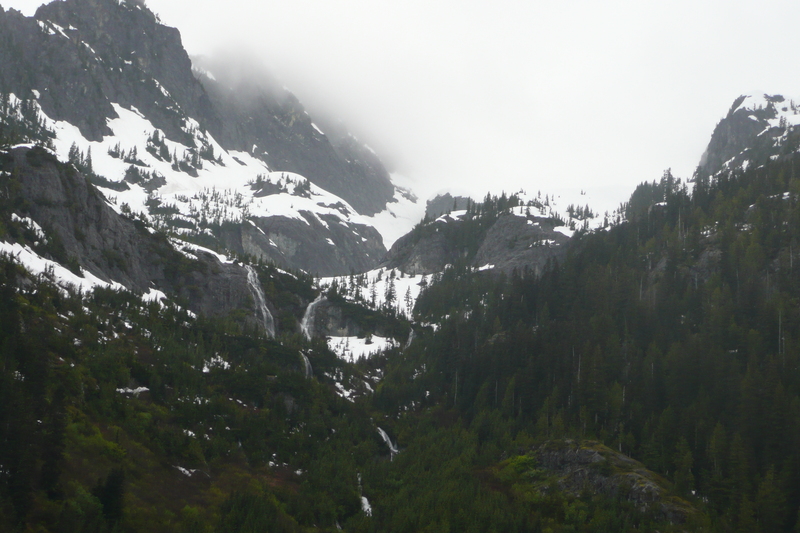 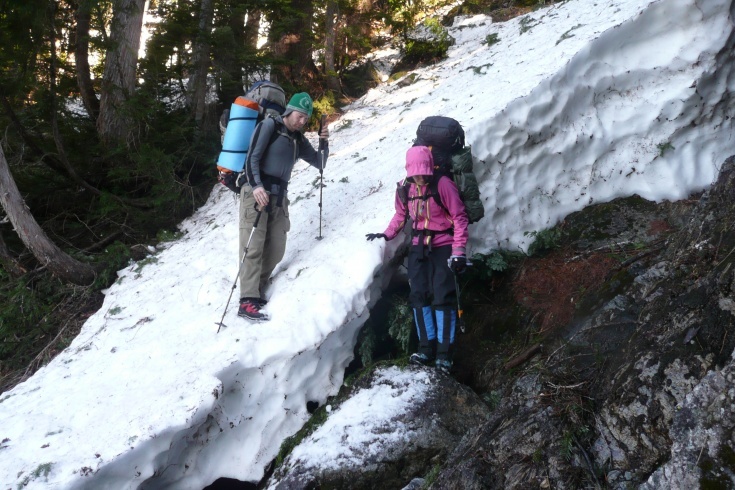 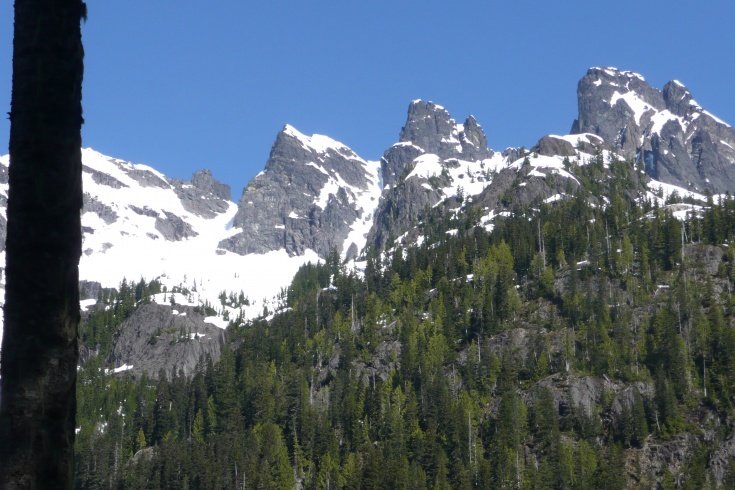 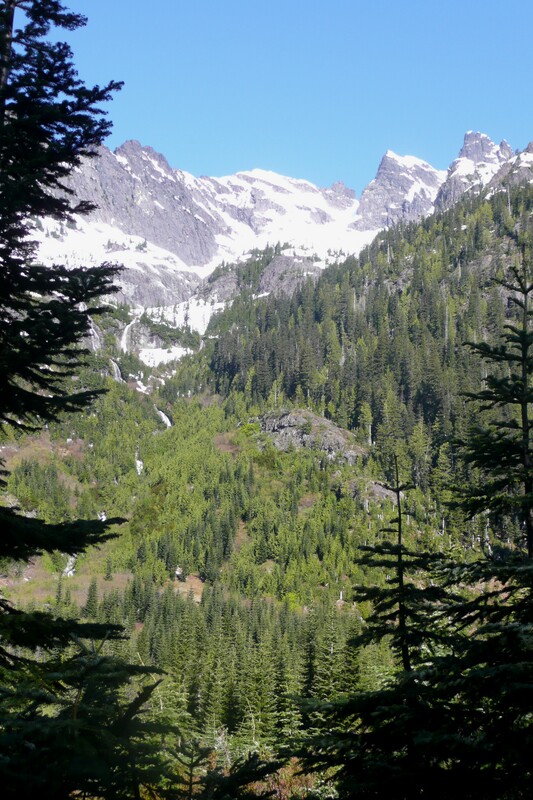 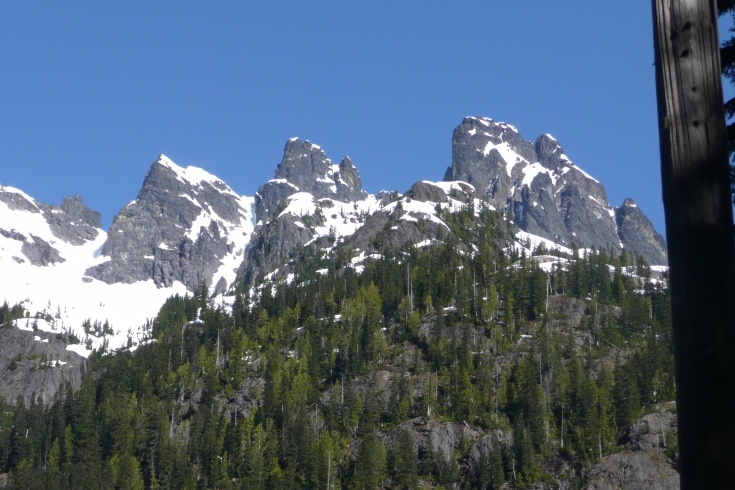 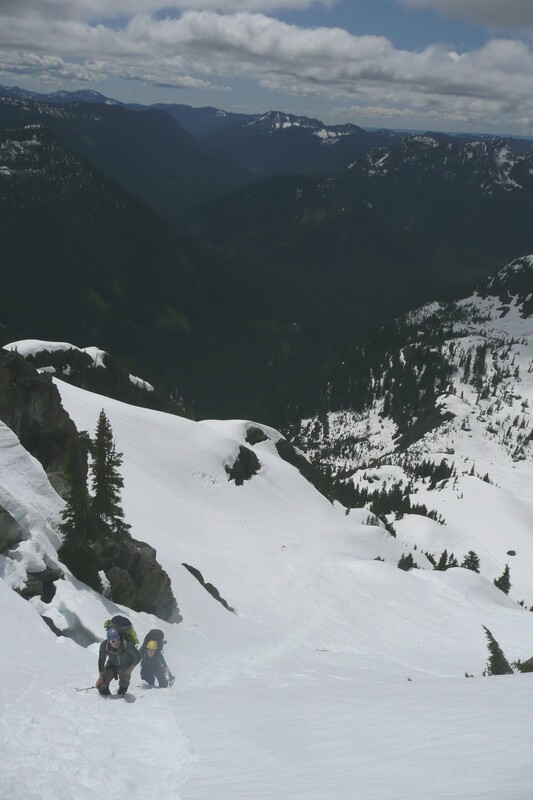 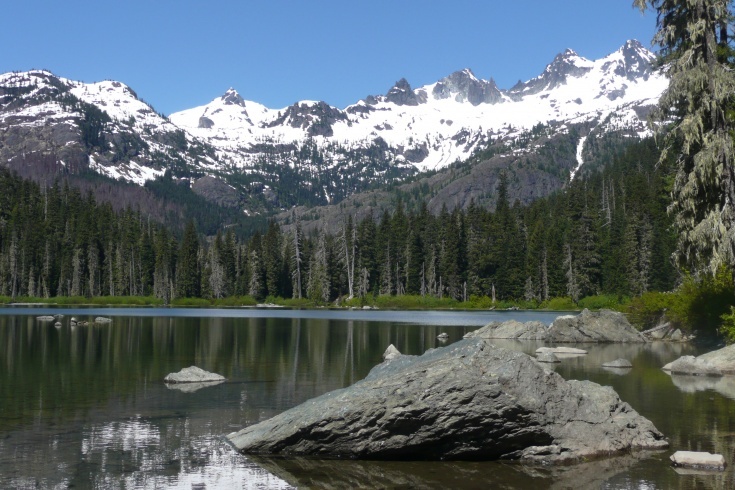 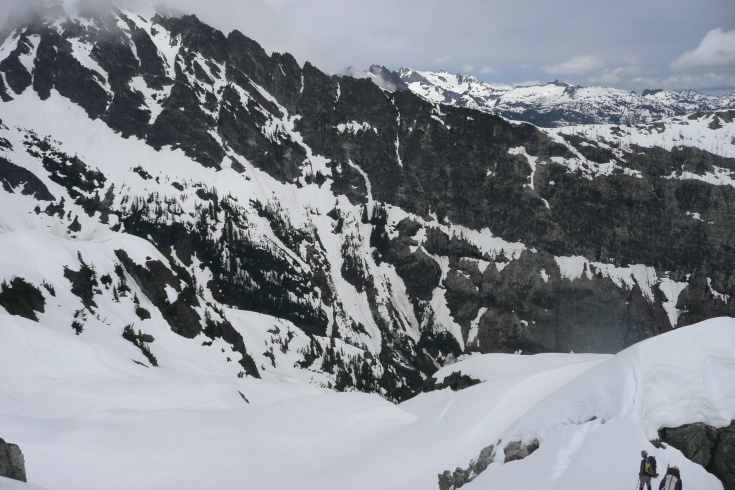 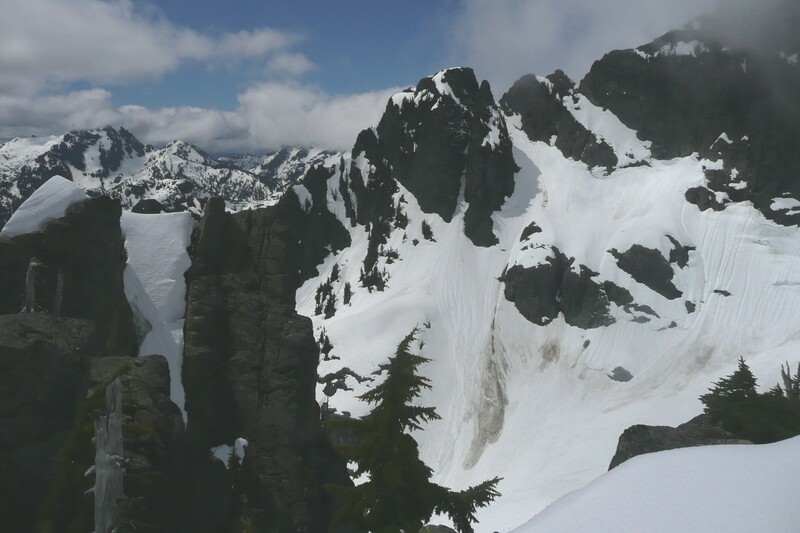 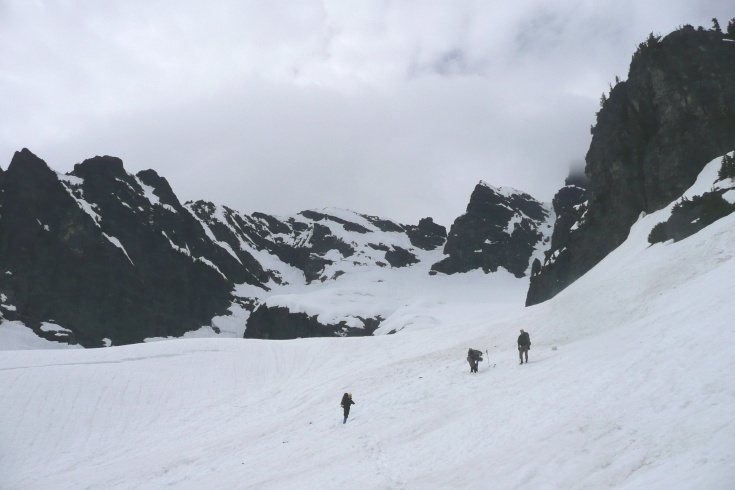 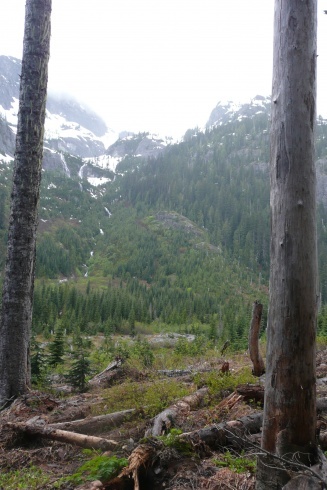 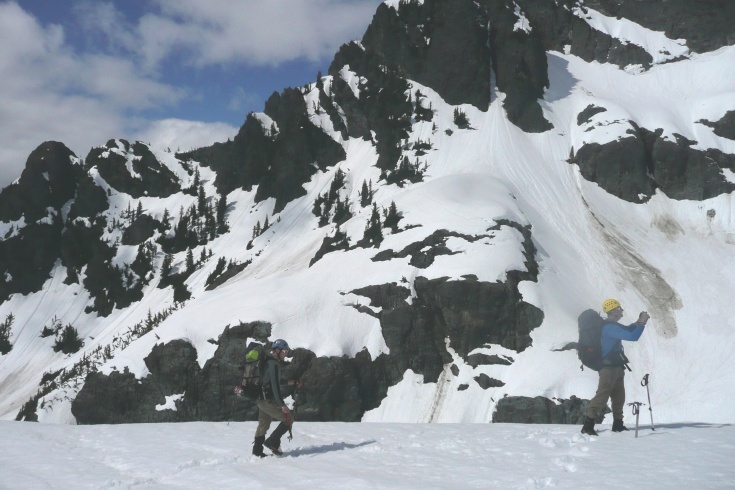 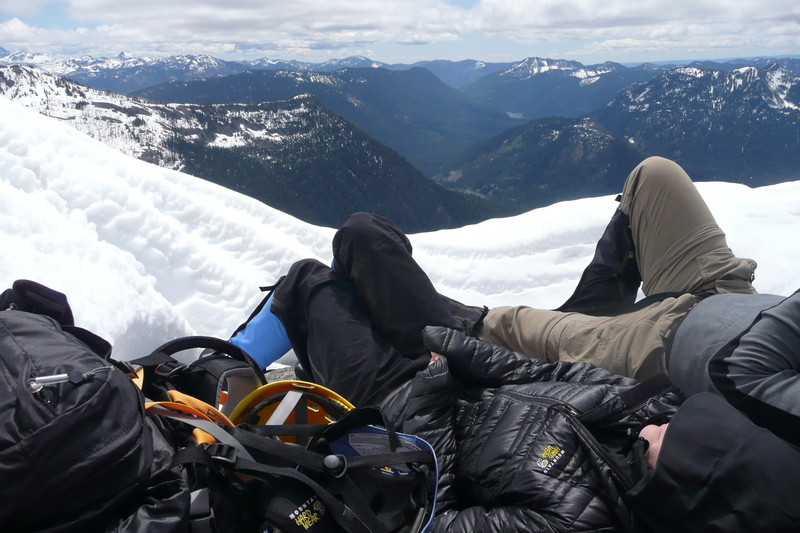 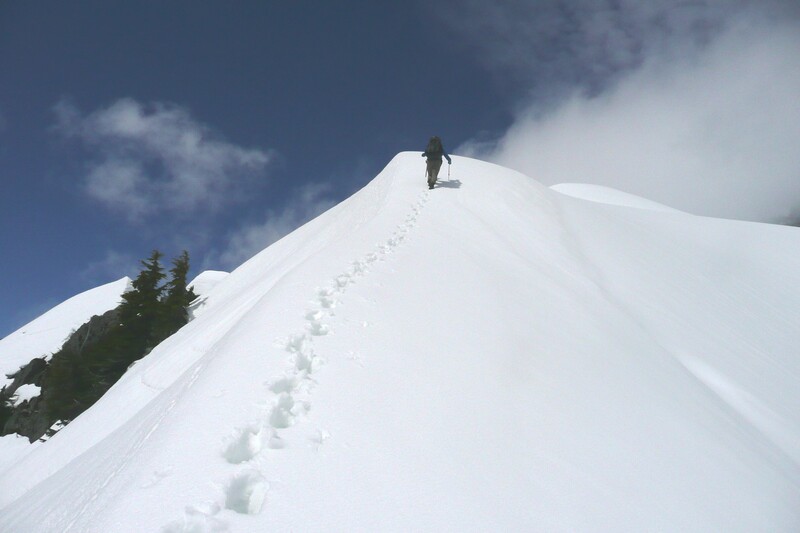 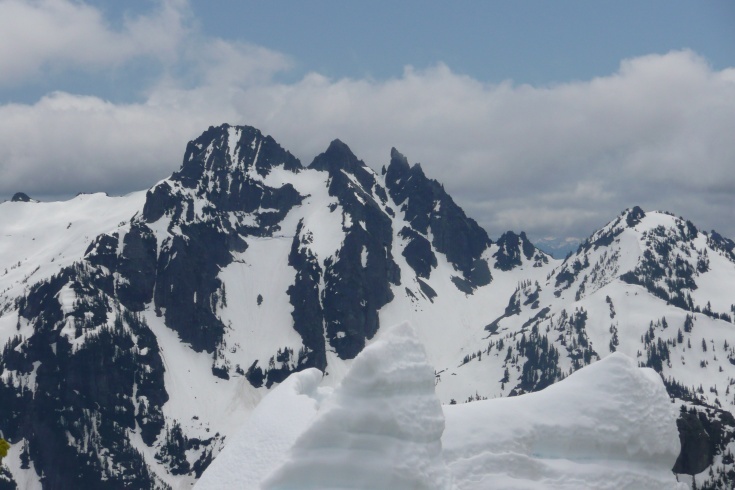 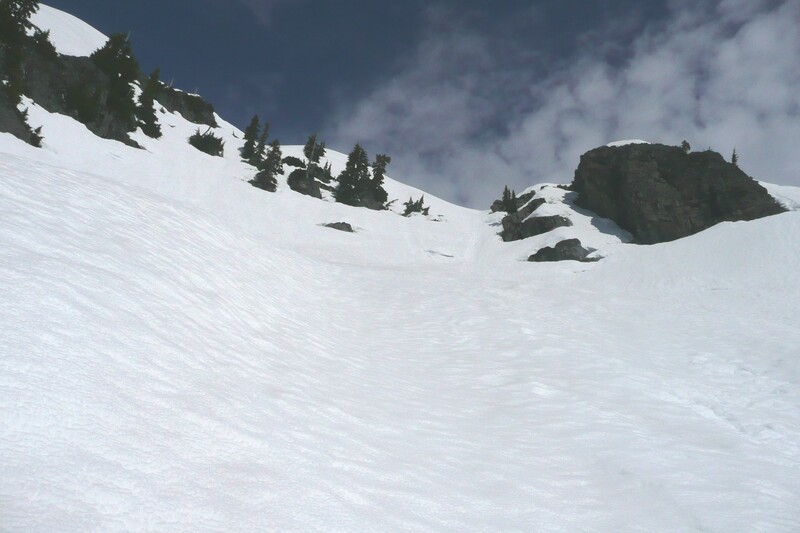 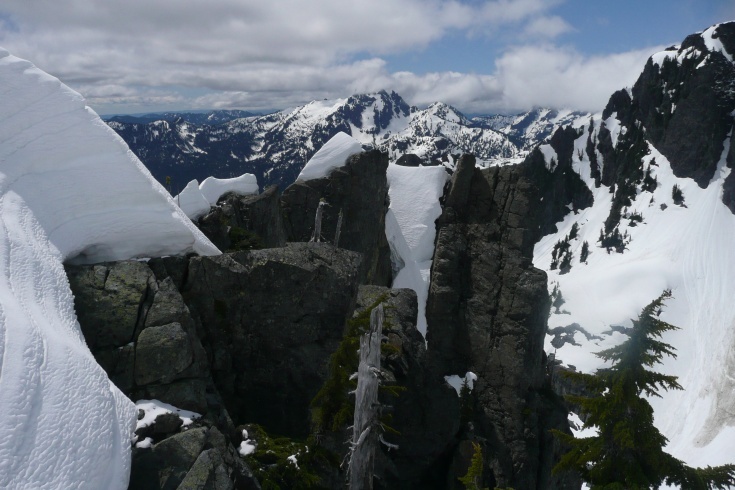 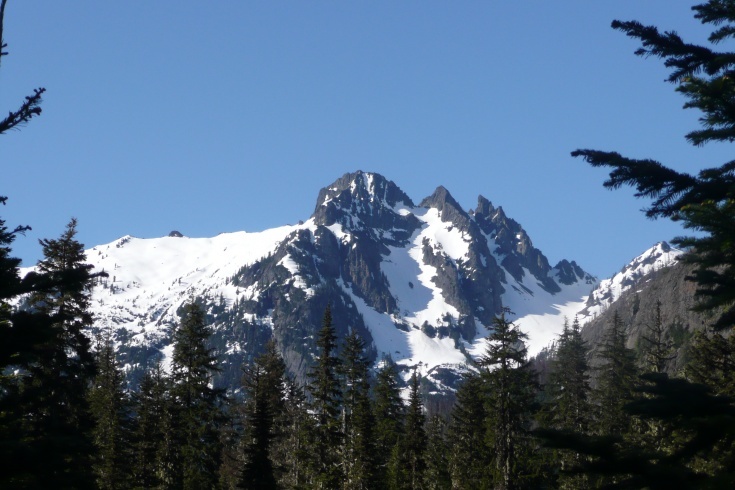 We had a great snow climb - because that's what there was - solid snow from 4200 on up, patchy from Pete Lake. 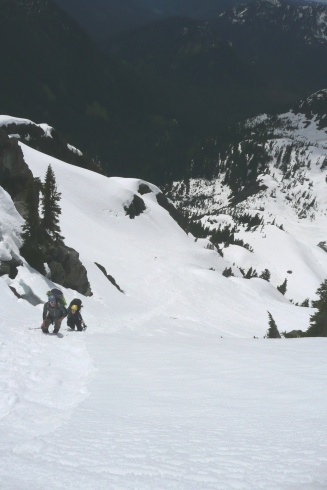 The route was unclimbable - the first 5.6 rock pitch was covered with snow minefields, the ledges with fluted snow that looked to be about 55 degrees. 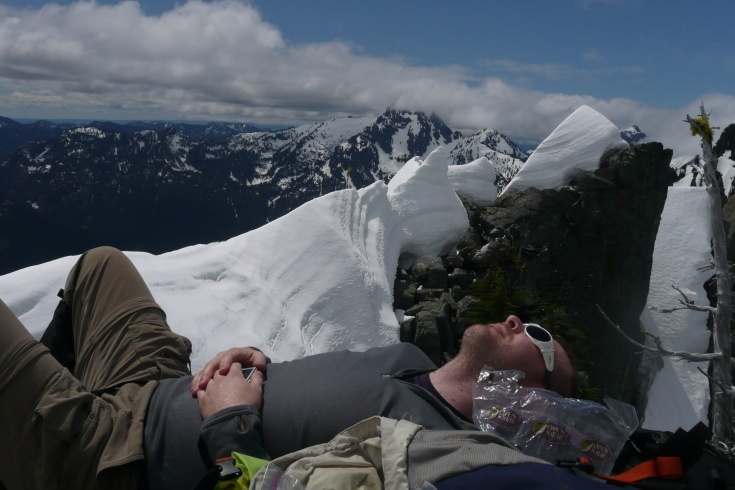 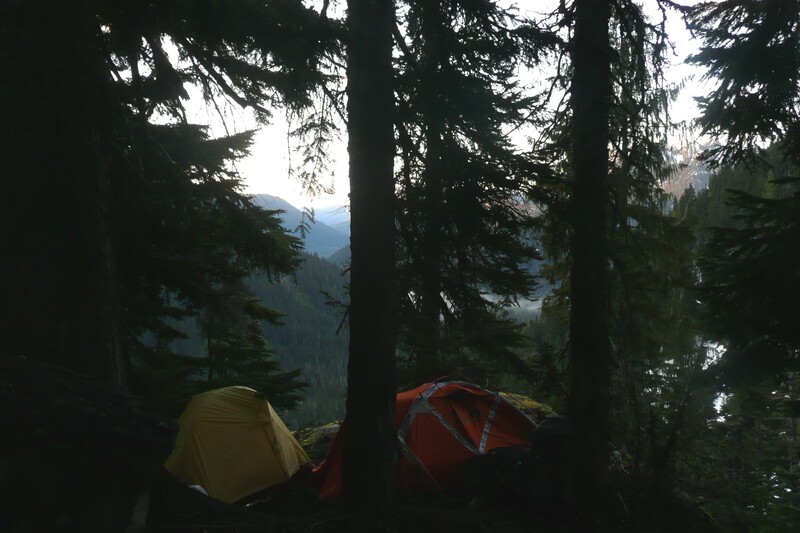 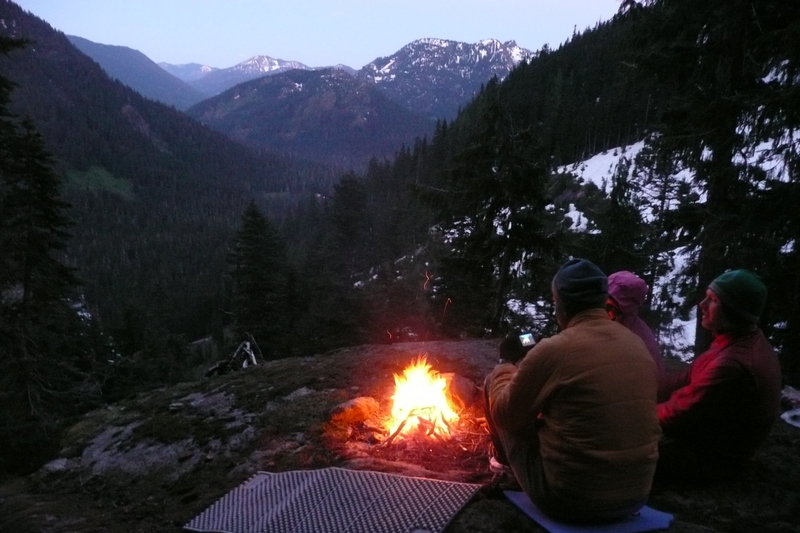 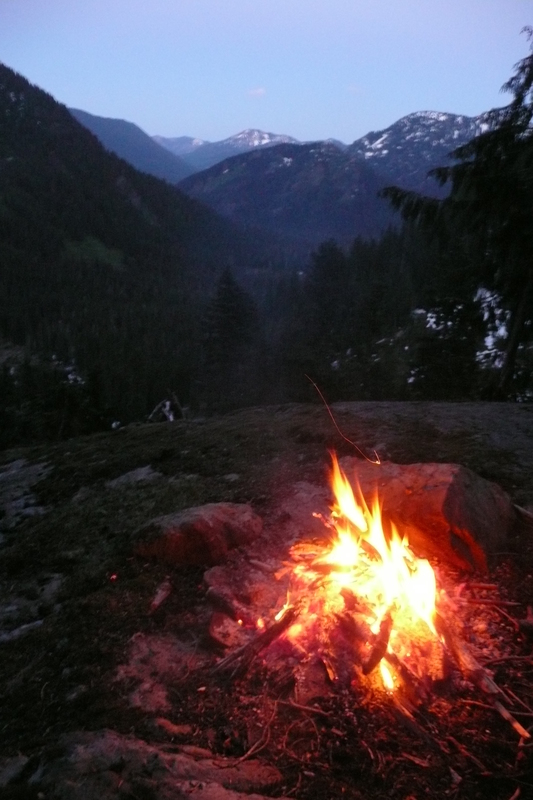 So we lounged on a perch at 6000 feet on the small spire above the bivvy basin, with a fantastic view, then more lounging around a nice campfire at our bivvy rock camp at 4100 feet for hours...most fun non-climb ever! 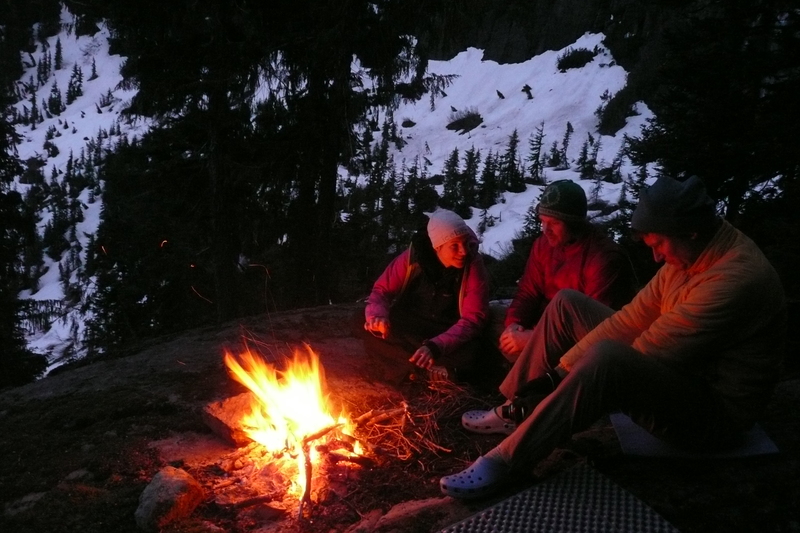 Note for next time - try skipping the bivvy basin, angling up and right directly toward the saddle below the East Face. 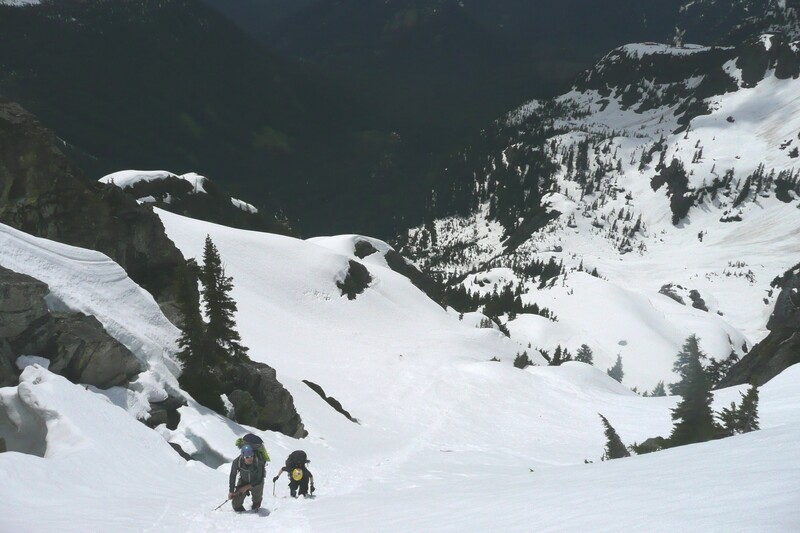 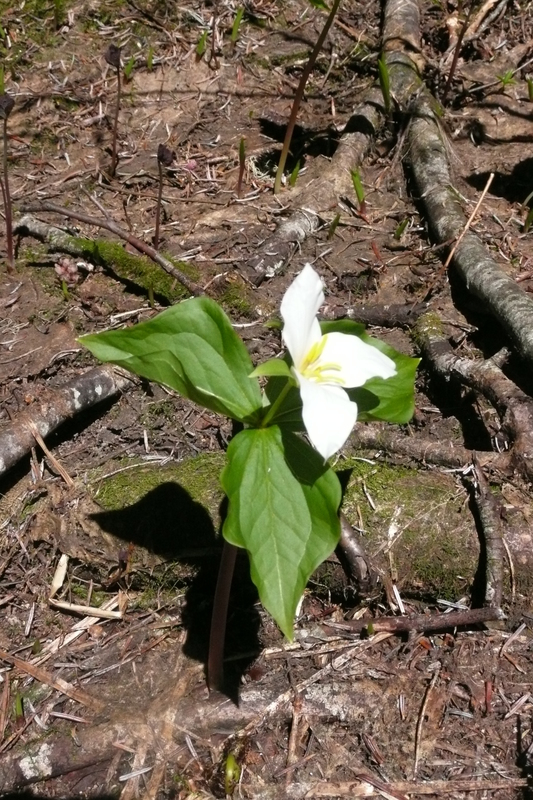 Can probably find high bivvy sites late season just before the saddle.